Brushing your teeth after every meal is ideal, but sometimes that just isn’t an option. The next best thing is to reach for a handy mouthwash that not only cleans, but also gives you that invigoratingly fresh feeling, even after feasting on your favorite garlic-drenched food. Most common brands contain alcohol, which may be antibacterial (even though it’s often listed as an inactive ingredient), but that’s not always a good thing. Working in a hospital, I’ve learned that alcohol is drying to the oral mucosa (the skin inside your mouth), potentially creating a cozier environment for bacterial and fungal growth that can lead to infections as well as bad breath. And, let’s not forget that alcohol is not a suitable alternative for some people, like children or recovering alcoholics, among many others. Homemade alternatives are so easy and simple to make, you’ll wonder how you’ve spent so many years pouring that money down the drain, or in this case, spitting it in the sink! If you look at the ingredients list in any common brand, it boils mostly down to essential oils (good, even though most are synthetically derived), fluoride (questionable at best), alcohol (see above), and mostly water. I haven’t been able to find the exact percentage of water in a bottle, but looking at the labels, it’s safe to say that at least more than half is plain old water! 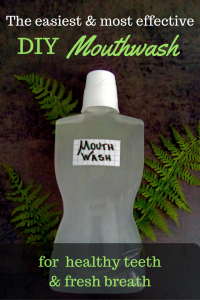 Here’s the super easy homemade mouthwash I have been using for years, and below you’ll find an explanation for why each ingredient is especially important and effective for maintaining oral health. 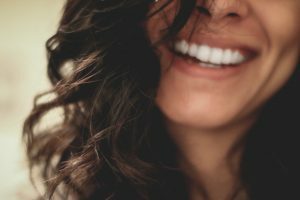 You can also check out a recipe for a homemade toothpaste that has the look and feel of the store-bought stuff and is dentist approved! In your mouthwash container of choice, pour all the ingredients, close it tightly, and shake until all the xylotol granules have dissolved. That’s it! Give it a quick shake before each use since the baking soda tends to settle to the bottom, and use it just as you would any regular kind. I also keep a small bottle of it in my purse that I can use for a quick fresh-up on the go. The bacteria that’s normally in your mouth feeds off of carbohydrates (sugars) in the food you eat, and produces acid and plaque as a byproduct. Xylotol is a sweetener derived from fruits and veggies that is not metabolized by this bacteria and neutralizes some of the acidity in your mouth; it inhibits the bacteria’s ability to stick to teeth and form plaque. Xylotol also increases pH and stimulates mineral-rich salivary flow to keep teeth and mouth healthy. While researching for this article I also stumbled upon a Finnish experiment where they swabbed 80 babies’ mouths with a xylotol solution twice-daily for about 2 years (those Finns are brave!). I have no idea who thought of doing this study, but it turns out that these children 5-6 years down the line had a statistically significant reduction in cavities and harmful bacteria in their mouth.., how crazy is that?! The acidic environment caused by bacteria and food can lead to even more harmful bacteria, infections, and gum disease. Baking soda raises the pH in your mouth so that the plaque-causing bacteria are less able to wreak havoc. There is growing scientific evidence that some essential oils, like peppermint, have effective antibacterial and antifungal properties. Peppermint essential oil has shown to inhibit the reproduction of staphylococci (a bacteria) and candida species (commonly cause fungal infections, like thrush). 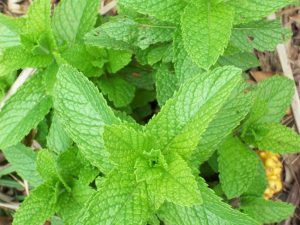 It is no coincidence that most well-known mouthwashes use menthol, which is a compound found in peppermint essential oil, except they use the kind that is synthetically derived.